Highly recommended! Very kind, sincere person -- one of those people you know you are going to like within five seconds.Hip, clean office. Will be back! Highly recommended! Very kind, sincere person -- one of those people you know you are going to like within five seconds. Hip, clean office. Will be back! *DENTAL CONSULTATION DOES NOT INCLUDE A CLEANING* *New Patient Exam (Adult) includes cleaning* *Please include both your insurance name and member ID when booking. 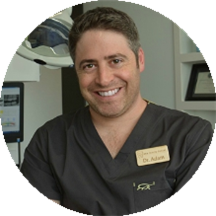 * Dr. Adam Gutwein attended the University of Florida College of Dentistry. While attending, he served as the Student - Faculty liaison for the Academy of General Dentistry's Continuing Education Program. He also holds a Master's degree in Elementary Education and taught 3rd-5th grade students before going back to school to fulfill his dream of becoming a dentist. Dr. Gutwein enjoys widening his knowledge by attending over 100 hours of advanced dental courses every year, traveling on volunteer medical missions and working with the Kois Study Club - an exclusive membership which consists of the top dentists in the Austin area. Smoothest dental experience I've had yet! Everyone was friendly and knowledgable, and were able to answer all of my questions about invisalign and implants. Glad to finally find a great dentist. Dr. Gutwein was really easy to talk to, as was everyone that worked there. Great environment and dental care. It's fairly laid back and it took about an hour and a half for a regular dental cleaning. Great team, modern tech and a totally Austin office. Every person that I encountered at ATX Family Dental was accommodating and wonderful. Highly recommend! The staff was real personable and fun, but knowledgeable when you asked important questions. I've never come out of a dentists office in a better mood than when I came in, but that's the case here! Dr. Gutwein and his staff, Catherine and Tasha, were amazing. They were genuine, funny, and my teeth cleaning was painless. You won't regret going here! I enjoyed my first visit very much. Everyone I met was great and I really liked the clear explanations of my treatment. This was easily the best dentist visit that I've ever had! All of the office staff was so helpful and accommodating when I had issues with my insurance. Dr. Gutwein was friendly, easy to talk to, and funny. I will definitelybe coming back here for my cleaning in a few months! After going to one other dentist my entire life, I went to Dr. Gutwein due to location/convenience and my prior dentist retiring. The location is great and there is plenty of parking. His office is cute and modern, with the wholestaff being so friendly and kind. The entire experience was great, I would highly recommend to anyone looking for a dentist in the south/central area of Austin! Super sweet staff, cute comfy office. The dental assistant, Tasha, was SUPER friendly and easy to talk to. Dr. Gutwein is very nice as well. He made me feel comfy on my first visit back the dentist in a few years.The appointment went by extremely quick too! I'm glad I found him on here! Very good and sweet with my son who was nervous! Dr, Gutwein was awesome with my 4yr old child. Really patient and supportive....definitely wanted to provide good care without overwhelming her. I highly recommend him. Already booked an appt for myself! Fantastic experience! He really knows what he's talking about. He's the only dentist I can see myself going to regularly, having been burned by poor experiences elsewhere in the past. Best experience I've had at a dentist! The entire staff were wonderful (and laughed at my bad jokes). Couldn't hope for a better dentist. I am switching to him from a dentist I had gone to for 25 years. Loved my visit. Everyone is so friendly. They were very punctual. They explained my issues to me in a way I could understand them. Definitely recommended.